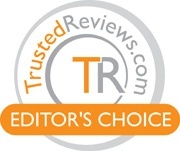 alaTest has collected and analyzed 346 reviews of Asus Eee Pad Transformer. The average rating for this product is 4.0/5, compared to an average rating of 4.5/5 for other products in the same category for all reviews. Reviewers are impressed by the screen and battery. The size and portability also get good reviews, but opinions about the camera and storage are different. Many are critical about the apps and GPS navigation. We analyzed user and expert ratings, product age and more factors. Compared to other products in the same category the Asus Eee Pad Transformer is awarded an overall alaScore™ of 91/100 = Excellent quality. The Eee Pad Transformer may just be the best Android 3.0 Honeycomb tablet out there. A next-gen Android tablet that transforms into a netbook – the best of both? The Transformer Mini T102HA is another fine convertible tablet, offering solid value for money. More demanding users might be disappointed by the low screen resolution and the basic performance, but the strong versatility is enticing.. The worry we had with Android 3.0 (Honeycomb) tablets was that they'd all be very similar and there'd be little to distinguish them, a bit like the current netbook market. A far superior tablet to Motorola's Xoom - this is the Android 3.0 tablet to buy. The mid-range of the new Transformer family has a killer screen in a 6.9mm body. The latest from Asus, the Eee Pad Transformer Prime offers up a superlative Android experience, whether being used solely as a tablet or connected to the optional keyboard.